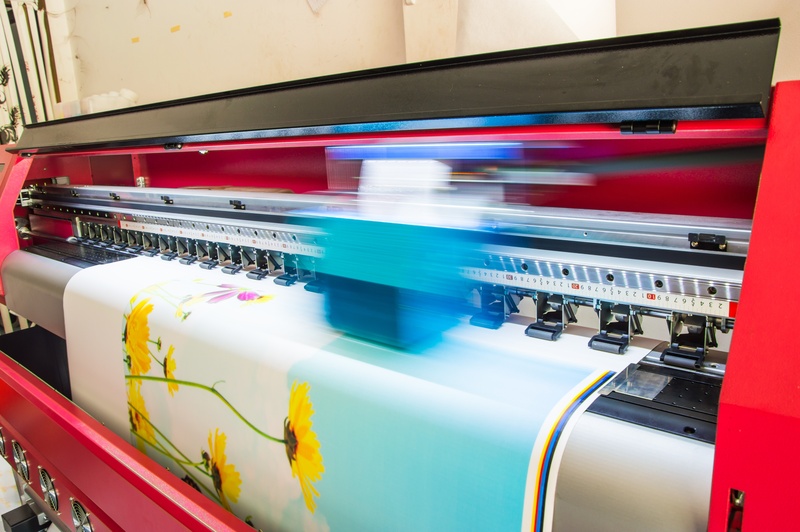 Traditionally a favorite of the printing sector, architecture, engineering and construction industry, wide format printing is opening up new opportunities for businesses to deploy exciting new marketing strategies in-house. The technology is improving so equipment costs are dropping and quality has peaked. You'd be hard pressed to go anywhere without taking notice of its impact, from the local grocery store to an upcoming election. Banners. 97% of users can't be wrong. Banners draw attention in a big way. Window signs and decals. Announce sales and seasonal promotions. Indoor wall graphics. Draw attention to specialty sectors and make customers feel welcome. Point of sale displays. There's a reason point-of-sale displays are so popular. They work! Trade show displays. Draw attention to your business at your next trade show or convention. Floor graphics. Take your message to the sales floor with eye-level floor graphics. Vehicle wraps. These new attention-grabbers provide can't-miss opportunities to get noticed. As your business grows, you want to be ready to meet new opportunities and take advantage of trends at a moment's notice. Bringing wide format printing in-house allows you to take control of your marketing efforts with the ability to produce your own high-quality wide format documents. You'll eliminate the lengthy planning meetings, wait times and high costs that come with outsourcing. Getting noticed has never been easier. To find out more ways your company can benefit from wide format printers, contact Valley Office Systems today.